Soluble fibers are a crucial component of the dietary fiber or roughage, which is the indigestible portion of food that has been derived from plants. Soluble fiber, as the name suggests, gets dissolved in water and is then fermented in the colon portion. This fermentation process converts the fiber into gases and other by-products which are psychologically active. Soluble fiber can be prebiotic as well as viscous, which often causes a delay in releasing pressure from the digestive system. Thus, the presence of soluble fiber is primarily responsible for humans to feel full for an extended time after having food. Some types of soluble fibers can absorb water, after which they form a highly viscous and gelatinous substance. This viscous material might experience fermentation through bacteria in the digestive tract. The main use of soluble fibers is to maintain proper functioning of the digestive tract, especially when absorption of nutrients and chemicals takes place. Some of the prime soluble fiber types are inulin, pectin, arabinoylan, fructans, sodium alginate, alginic acids, calcium alginate, ammonimum alginate, agar, xylose, carrageen, and others. Soluble fiber is found in differing amounts in several plant foods such as oats, legumes, barley, root tubers, ripe bananas, avocados, plums, almonds, broccoli, Jerusalem artichokes, apple skins rye, and others. With such an extensive presence of these fibers, a distinct soluble fibers market exists from a global perspective. This market is mainly being driven by a rising awareness among the masses regarding the benefits of soluble fibers, thus causing an increase in demand for foods rich in them. These fibers are rapidly witnessing extensive research and development from food scientists, who properly integrate them into various foods. In the upcoming future, the global soluble fibers market is certainly expected to grow rampantly owing to increased consumption of foods rich in these substances. This report on the global soluble fiber market is a comprehensive market intelligence study that brings forth the lucrativeness of the said market. Beginning with an executive summary that comprise a snapshot of how the demand for soluble fiber has evolved over the recent past and where is it headed to in the future, the report delves into the analysis of various market dynamics, such as opportunities, trends, challenges, and drivers. A detailed overview of the said market with the analysis of porter’s five forces has been provided in a bid to present a concise and clear landscape of the market vendors to the readers. The market intelligence study also points at mergers, important conglomerates, numerous research and development activities, acquisitions, and corroborations. The world market for soluble fiber is expected to grow at a robust CAGR and is anticipated to attain a significant market valuation by the end of the period of forecast. Rising prevalence of obesity amongst various individuals is also likely to impact the demand for fiber-rich food products. Since consumption of fiber-rich food products assists in weight management and speeds up the rate of metabolism, food scientists are making use of soluble fiber as an important ingredient. Food companies are also accommodating low-fat food products in their line of product at reasonable prices so as to expand their base of customer base. Demand for low-fat food products will underscore promising growth opportunities for the leading players in the world market. 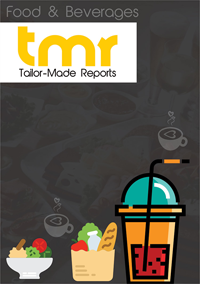 Increased demand for healthy on-the-go food products is also expected to stimulate growth of the said international market. Food companies are also focusing on developing various food products that is central to the health requirements of individuals. The market participants are expected to gain new opportunities as there has been an increased emphasis on spending more on the research and development activities by many of the low-fat food product making companies thereby is expected to drive further growth of the international market for soluble fiber. Furthermore, many of the market participants are anticipated to make a foray into the emerging economies that are yet to be explored and tapped so as to find new opportunities. Taking regional segmentations into consideration, the world market for soluble fiber has been categorized into geographies of Europe, Latin America, North America, Asia Pacific and Middle East and Africa. North America is expected to continue with its regional supremacy across the globe throughout the period of forecast. The European market for soluble fiber is expected to register a very fast growth. A few leading market players that are operating in the world market comprise eminent names such as Roquette Freres, Huachang Pharmaceuticals, Lonza Group, Tate & Lyle, INGREDION, Archer Daniels Midland Company, NEXIRA, Naturex, DuPont, Sunopta Inc., and Cargill.